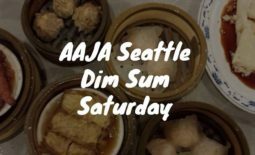 AAJA Seattle is partnering with the Seattle Asian American Film Festival (SAAFF) to co-present The House of Suh, which will be screening at 8 p.m. on Jan. 26 at the Tateuchi Story Theatre in the Wing Luke Museum. “The House of Suh” will be showing at the Wing Luke on Jan. 26. Tickets for the film are $10 for general admission and $8 for kids, students and seniors (with proof of I.D.) To purchase your tickets, click here. 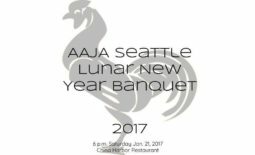 The Seattle Asian American Film Fesetival’s mission is to seek out, promote, produce, and develop Asian American artists with a commitment to original and innovative media works. New program directors Kevin Bang and Vanessa Au are leading the revival of SAAFF, continuing the work of the Northwest Asian American Film Festival (NWAAFF) directed by Wes Kim from 2003-2007. To see a full listing of all films being shown during the SAAFF, which runs Jan. 25-27, click here. Book launch party for Maureen Francisco set for Jan. 19	The Return of Dim Sum Saturday!